Ok, got home late but still want to keep photo a day going. 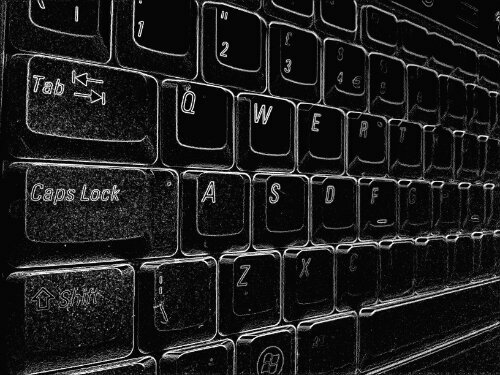 So a quick shot of the keyboard from the laptop as I do some editing of a photo shoot. A little edit to give it a different look. This entry was posted in 365 Photo Project 2013, Blog Posts, Image Post and tagged 365 Photo Project, A Man With His Camera, Computer, Keyboard, Photo Editing, photography, photoshop.